New album released. The Meditation series continues with a new chapter. given within a dark, perilous time. Very introspective, personal project. 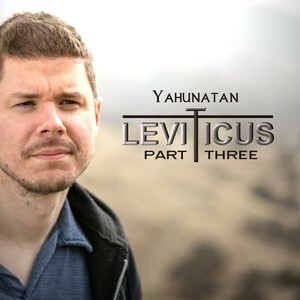 The third and final album of the Leviticus Trilogy. Part III has fantastic melodies and soundscapes. Great project. 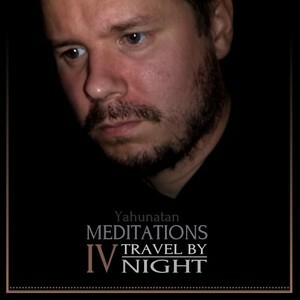 Yahunatan is a secluded, electronic musician. For Yah's glory. All music here is free to listen! Over 30 Albums Since 2003. SoundClick Veteran for 12 Years (2007 - 2019). It's not about being a skilled musician. Or acquiring that which fades under the sun. Life's too short. It's about sharing an experience. It's about having a personal relationship with The Creator. and electronic genres with ease of technicality, I attempt to form simple pieces on a whim, filled with muse and creative theme. If one of these pieces brings a positive understanding to your life — it has served its purpose! You are welcome to browse my music on this website free of charge. See albums and music. With 30 albums now and 350+ tracks spanning well over a decade and a half. Huge library. Hours and hours of decent, creative music available covering a vast spectrum of electronic and classical styles. Totally original and home-baked, yet stylish, creative, and personal. Stop, relax, and enjoy the experiences shared. First album in May 2003, named Experiences: However Small or Insignificant. First piece is called Life Ship. Posted a YouTube video on this history (see Videos). Started out with MIDI programs for a couple of years or so before moving to keyboards. Primarily have been known for my work with the Yamaha DGX-500 from 2004-2013, yet have explored further since then with various equipment and software. Watch video for more details. If this person ever played live, don't know if it would come out properly. This music is all too personal. Not as nervous around people as much as being an Empath (in other words, it is very easy for me to soak up the moods of others). Had a personal concert back in December 2008, in which five impromptu pieces were played right after the other. Was released as Impromptu (you can listen to it on this site). Wonderful experience. As far as keyboard music, would say the primary influences are Vangelis, Tangerine Dream, Jean-Michel Jarre, and Kraftwerk. Vangelis would be most influential, as he focuses on the depth of his music more than catering to the masses. Jarre is explosive and fearless, while Kraftwerk allows their music to mirror real-life experiences. Tangerine has taught me about consistency and longevity. Patrick O' Hearn and Davol are also excellent examples. This musician currently uses FL Studio 12 Producer, Akai Professional MPK 88 and MPK 25 Controller Keyboards, Arturia V6, V5, and V4 Collections, Omnisphere 2, Keyscape (Full Edition), Philharmonik Miroslav (Original), M-Audio Audiophile 192 Sound Card, Yamaha DGX-500 and DGX-505 Keyboards (Grand Portables), Yamaha PSR-47, with various freeware plugins. There are quite a few successful artists that have the backing and resources to make it work. Many take the time to study and practice written works, which is fine. My motivation comes from another source. It's really about momentary expression. Depth. Anyone can create decent music by being honest with themselves and their audience. This person doesn't really know notes, recording terms, or things like that. Just play what's within, recording it rather quickly without too much whimsical flair. It's a story, in which the Father gives me the experiences to share. It's not my choice to stop the messages he desires to give.